Recently while visiting the family for Thanksgiving, my mother-in-law had taught my two boys a simple memory verse. She had a felt board, a song, and a memory verse to teach the creation story and repeated it daily the entire week were visiting. I was amazed at how quickly they learned it. Even my two year old was able to repeat the verse as we said it. I decided that I would like to continue teaching my boys simple memory verses each week. As we are approaching December I thought it would be perfect to teach verses along with the Christmas story and follow the advent season. 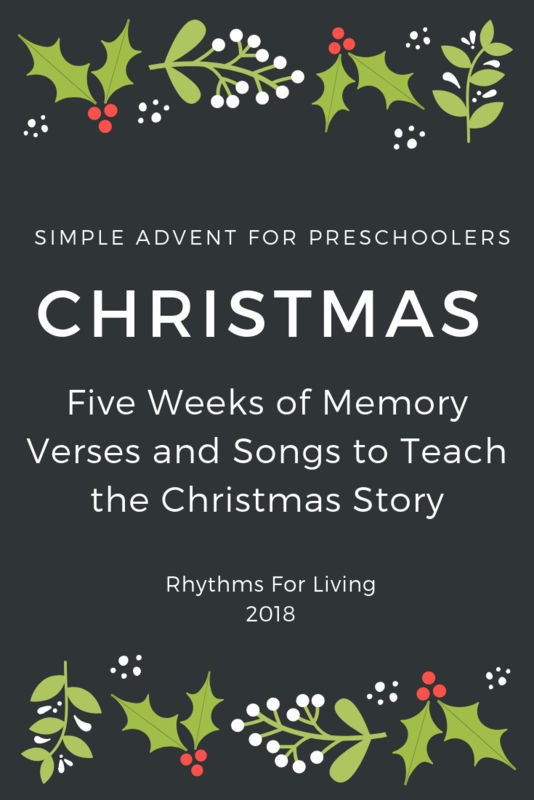 I scoured the internet for a simple advent program or memory verses for preschoolers. 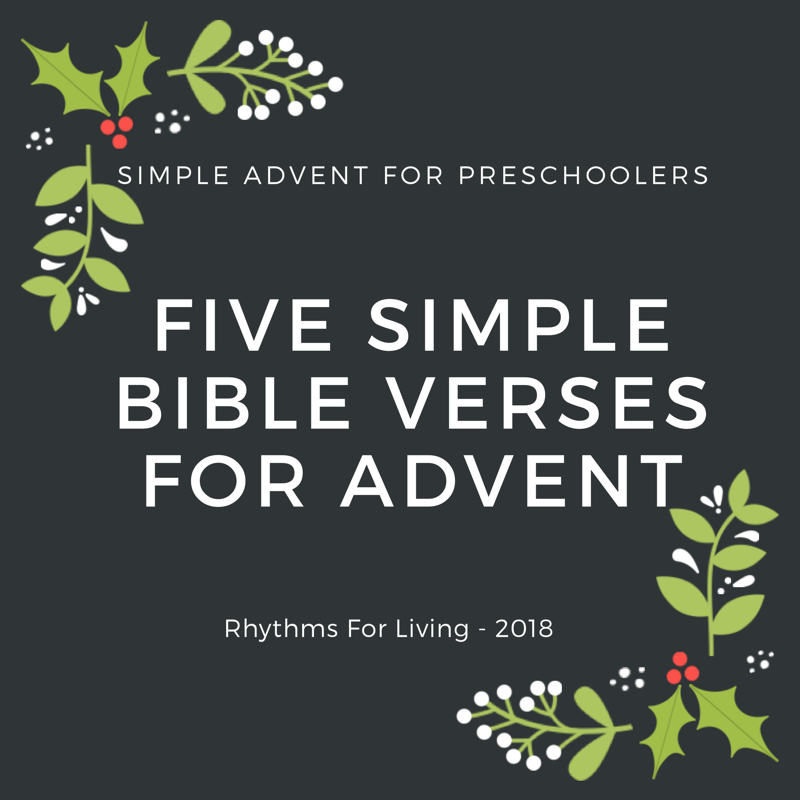 I found a lot of activities or bible verses for the 25 days of Christmas but I wanted just four or five simple verses that my kids could memorize. I ended up creating my own advent program with memory verses for the five weeks of the Christmas season. There are the four weeks leading up to Christmas as well as the week after Christmas leading up to Three Kings Day on January 6th. Some refer to this as Epiphany. I have put this program into a simple PDF which I thought I would share with you! Consider this free download my early Christmas present. Feel free to download and use it with your kids. Share with friends and family! 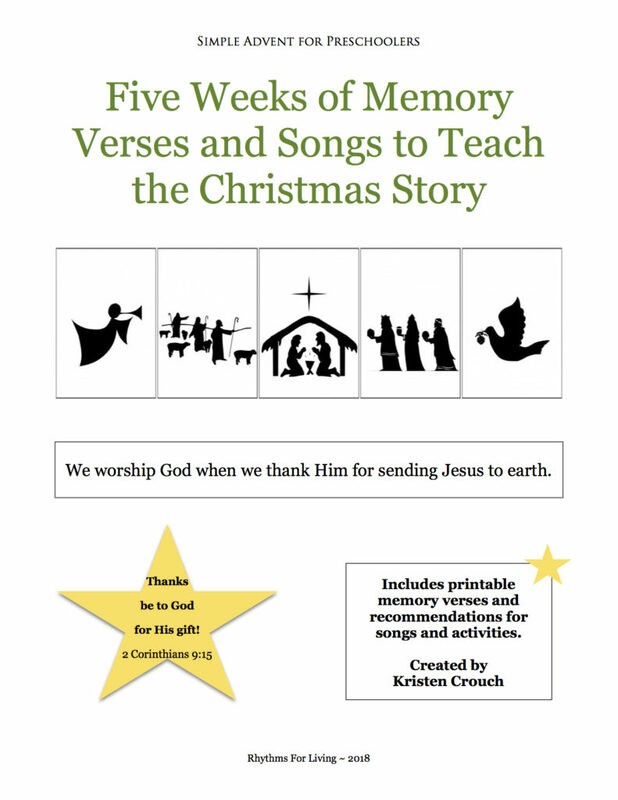 The PDF includes five weeks of memory verses for your kids to learn, as well as song and activity suggestions. You can keep it as simple as reading a few verses from the Bible and then teaching your kid the memory verse. Or you can expand it as much as you want with songs, crafts, history lessons, books about Christmas, and even family activities or service projects. There is a page containing the five memory verses which can be cut apart and used throughout the week. Make several copies and hang them on the fridge, on the bathroom mirror, or wherever they will be seen often. My goal was to keep this as simple as possible. I plan on introducing the week’s verse, scripture reading and songs at the beginning of each week and then repeat them daily. We worship God when we thank him for sending Jesus to the earth. At the end of the Christmas season my kids will have memorized six new bible verses. 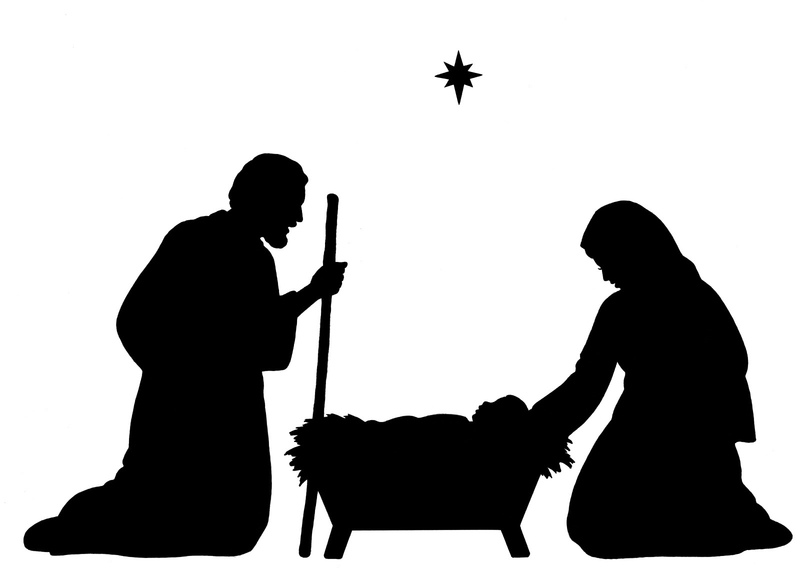 They will also understand better who God is, who Jesus is, and the true meaning of Christmas.